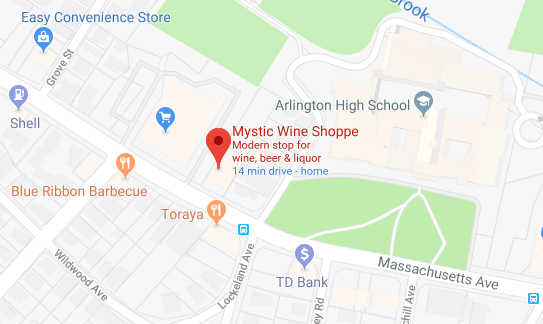 Mystic Wine Shoppe is a warm and welcoming environment that strives to provide an enjoyable shopping experience for each and every customer. Be it an excursion to browse our eclectic shelves for a new product or a quick trip to pick up an old favorite, our friendly and knowledgeable staff is committed to helping you discover the best bottle of wine, craft beer, or specialty spirit. Friday nights from 5–7 p.m. If you’re into craft beer, you won’t be disappointed! We have hundreds of craft beers in stock. Come in and meet fellow craft beer lovers and try a wide range of new beers to tickle your taste buds! Saturday afternoons from 4–6 p.m.
Wine tastings are complimentary and open to all those age 21 and over. Carefully selected by Manager Mike Woodward, you may just discover a fondness for a new grape, region or blend. Mystic Wine Shoppe’s latest news and inventory updates. We’re constantly updating our stock, so check and see what’s new. Thursday 9:30 a.m. – 9:30 p.m.